This is What a Healthy Breakfast Looks Like! Any breakfast is better than no breakfast, right? Wrong! Your health can go for a toss if you start your day with empty calories by eating a sugary treat with your coffee (and thinking you are eating breakfast)! If you want a healthy start to your day, begin it with a healthy, nutritious and well balanced breakfast that will keep you feeling full of energy for the first few hours of your day. So what constitutes a healthy breakfast? Most experts agree that the best breakfast should consist of eggs and a few other things that provide fibre, minerals and vitamins. 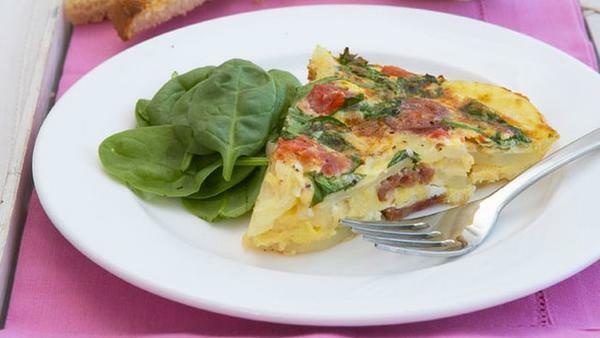 This breakfast provides you with protein, good fat, carbs, fibre and iron. If you eat this in the morning, you will not feel the urge to snack before lunch time. So try to plan breakfast for the next day before you go to bed. Include all these food groups in a healthy and well balanced ratio. Avoid breakfast that is too carb heavy as it will make you feel sluggish. Don't miss out the protein as it is very important requirement of your body. When There is No Time for Breakfast! Are Poor Breakfast Choices Making You Fat?